1. The Foam Stick will pulse alongside the beat of music in an awesome light show! Settings include a slow color rotation, a fast strobing color rotation, a steady light, flashing red, flashing blue, flashing green, and a sound activated light effect that will keep time with the rhythm all night long! 2. Our LED foam stick baton are the ultimate spirit item,and makes an awesome gift for many occasions. Especially for Festivals and party. 3. 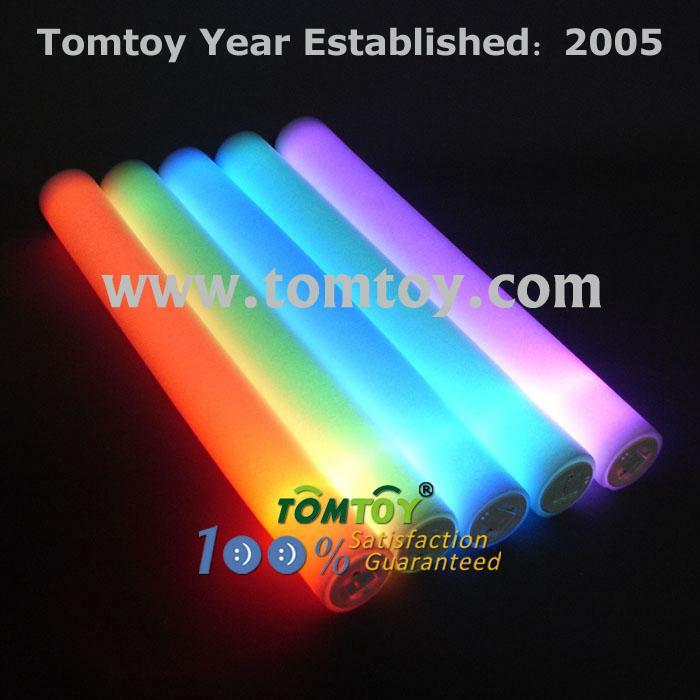 This foam stick can be activated by sound, with red, green, and blue LED lights, so bring these to your favorite concert and enjoy a personal light show to the beat of your favorite song. 5. Batteries: 3*AG13, easy to installed and replaced.